Failed presidential candidate and former first lady Hillary Clinton has never kept her love of the country’s largest abortion provider a secret, but Tuesday she went a step further and tweeted a photo of herself modeling a “nasty woman” shirt to raise funds for Planned Parenthood. The item from the Full Frontal with Samantha Bee merchandise line comes from the phrase “such a nasty woman,” that President Trump said during the third presidential debate last year when Clinton implied that he doesn’t pay taxes. 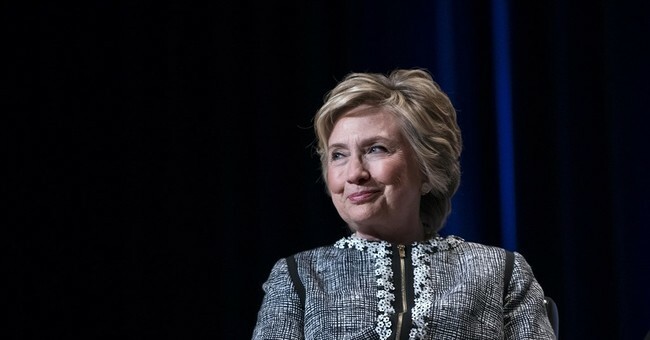 Hillary Clinton received Planned Parenthood’s first endorsement of a presidential candidate last year and promised on the campaign trail, "I will always defend Planned Parenthood and I will say consistently and proudly, Planned Parenthood should be funded, supported and protected, not undermined, misrepresented and demonized. As your president, I will always have your back." According to their latest annual report, Planned Parenthood performed 328,348 abortions last year, a number that translates to stopping the beating hearts of 899 unborn babies every single day last year.